This is a list of Languedoc-Roussillon Domaines that blog. We have a separate list of winemakers who tweet. And a list of winemakers on facebook. People often ask me if there are any other winemakers in our region “who get it”. Are there winemakers who are on the web interacting with their consumers and even interacting with people who might not be able to buy their wine. Well I’ve got good news. 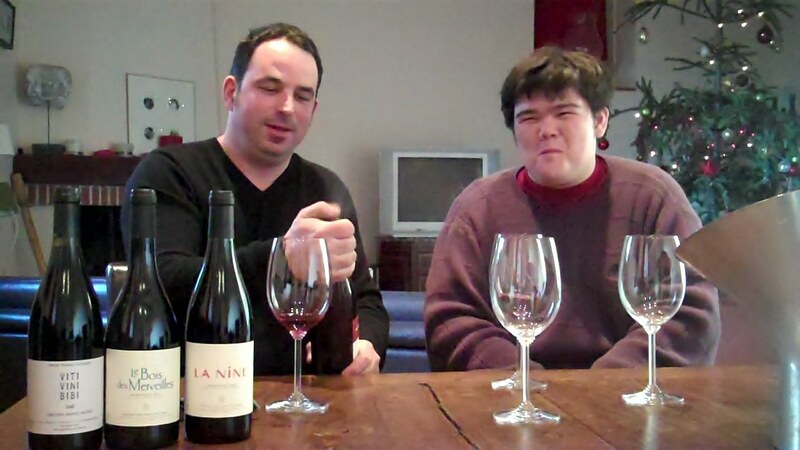 The Languedoc-Roussillon might actually be the avant garde of the online wine world. We’ve got a large number of winemakers with active online presences, blogs, twitters, etc. This can probably be attributed to two different traits of the Languedoc-Roussillon. First of all, there are a ton of winemakers. The last number I heard from the CIVL was 3,000+ wineries. And then tens of thousands of grape growers. Secondly, we have a lot of newly installed winemakers and passion projects (like mine). And I think a lot of these passion projects are founded by “outsider” winemakers who come from another milieu, one where it is almost intuitive that you have to blog or tweet or do anything else you can to market your brand online. Without further ado, let’s get into the nitty gritty. A list of winemaker blogs, vineyard blogs, producer blogs, etc. in the Languedoc-Roussillon. These are very loosely ranked based on my totally subjective notion of who is the most active, has the most original content, etc. Clos des Fées, Roussillon – Winemaker blog in French – Hervé Bizeul is a great writer. He’s got a poetic quality, but it never gets hard to read. He’s totally unpretentious in his writing style. And he’s 100% honest. A lot of winemakers hide the mishaps or odd situations that are part of every day life. Bizeul is not compelled to do that. Hail destroyed part of his crop? Expect pictures of burned and damaged grapes. Somebody said something mean? Don’t expect him to hide it. Domaine Lisson, Olargues – Winemaker blogs in French, English and Deutsch – I think this is one of the oldest winemaker blogs around, with consistent posts dating back to mid-2005. I know that doesn’t seem like a long time, but if you put it in Internet terms, she’s been blogging since before you knew about YouTube. And like any blogger who lasts that long, Lisson understands that it’s fun to talk about other people. She regularly shares her discoveries of other marvels in the Languedoc and surrounding regions. 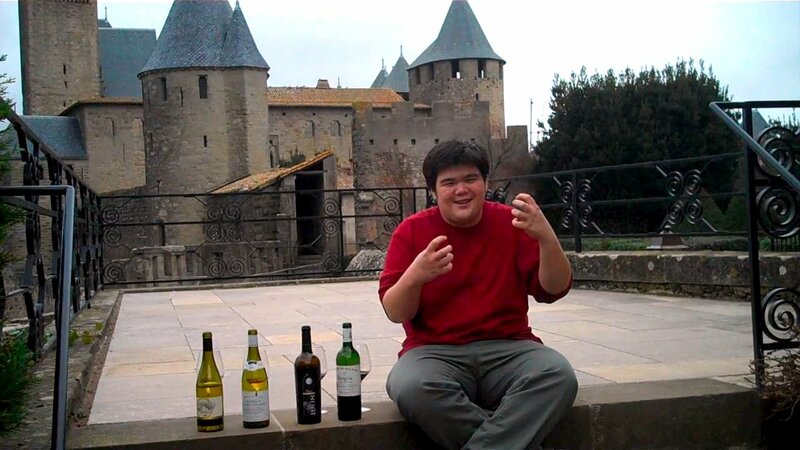 O’Vineyards, Carcassonne – Winemaker blog in English – Haha, you hopefully know about this one already. It’s my winemaker blog. Mas de l’Ecriture, Terrasses du Larzac – Winemaker blog in French – Pascal Fulla keeps us up to date on his very active winemaker blog which has a lot of fun promotional bits alongside a lot of multimedia, including some truly gorgeous vineyard photography. I love how much photo, video, and audio he uses (despite the winery’s name? :D). Domaine Jones, Fitou – Winemaker blog in English – Katie Jones is a recently installed vigneronne who blogs extensively and regularly. I haven’t met Katie yet but her videos definitely give me the impression that she is heavily involved in the winemaking process. Lots of regular updates. I like how casual this blog is about the technical stuff that happens on a vineyard. It’s like everything is new to her and she is unshy about sharing that novelty and freshness with her readers. Domaine la Rabidote, Saint Chinian – Winery blog in Swedish – Anders Aberg bought a vineyard in the Saint Chinian on a whim and he gives frequent updates in Swedish (since he hopes to sell most of the wine there). He’s a videographer so I expect a lot of good videos of this quality. La Peira, Terrasses du Larzac – Winery blog in English – Rob Dougan is all over the web. He’s another example of a passion project from another milieu and it’s just obvious to him that he should be online. A lot of his posts are clever ways of reminding you of all the good press his wines get. But he also gives a great deal of insight into those reviews and what he sees as a propos in the region. Chateau de Gourgazaud, Minervois la Livinière – Winemaker blog in French – Simple, entertaining updates about life at the Chateau. Regularly updated. Well worth a look. Mas Becha, Nyls-Ponteilla – Winemaker Photo Blog – Interesting format. Virtually 100% photos from this Roussillon winemaker just twenty-some minutes away from the Spanish border. Le Pech d’André, Azillanet – Vineyard blog in French – I have no idea how this Minervois blog evaded my notice so long. It’s very regular and has been going since late 2009. Pretty even split between local festivities and vineyard posts with a few other subjects thrown in. Pour le Vin, Cotes Catalanes – Winemaker blog in French – Michel Smith, one of the “5 du vin” deserves to be in this directory. Even though I think of him more as a journalist, he’s taken up a small plot of land in the Roussillon and made the plunge. With les Vignes du Puch, he’s one of us now, for better or for worse! A winemaker. And so whether he likes it or not, he’s now a winemaker-blogger. Coume Majou, Roussillon – winemaker’s blog in French – Discovered through Jim’s Loire, this laid back winemaker attacked blogging quite recently and I hope he continues because he’s got a uniquely fun loving tone. The Vigneron’s Wife, Minervois – winemaker’s wife blogs in English – While Kat isn’t strictly a winemaker, she has the intriguing perspective of the winemaker’s wife. The blog is just starting as of this update, but I hope it continues to flourish as the idea of a blog from the point of view of the wife of a winemaker is really cool. Colline de l’Hirondelle, Douzens – winemaker blogs in English – These guys are very very active since their recent installation in the region. Great aesthetic. Lots of posts about local life, events, vineyard happenings and so on. Lovely labels too. Rives Blanques, Limoux – winemaker blog and domaine news in English – I’m happy to see that these Cépie winemakers have converted their longstanding newsletter into a blog format. There are sort of two blogs here. There’s a monthly update of what happened at the estate. And then there’s Breaking News which is more typical single topic blog posts. Domaine de Sainte Rose, Cotes de Thongue – A couple of anglophones producing wine in Servian. Very active and taking its first steps by introducing the vineyard, product, philosophy, etc. We’ll see how it develops. Vigneron Blog, Roussillon – Winemaker blog in French – I actually have no idea who this guy is or where he makes wine. His ambitiously titled Vigneron Blog does assert that he is a winemaker. And he seems to be one of the most active winemaker bloggers in the region. 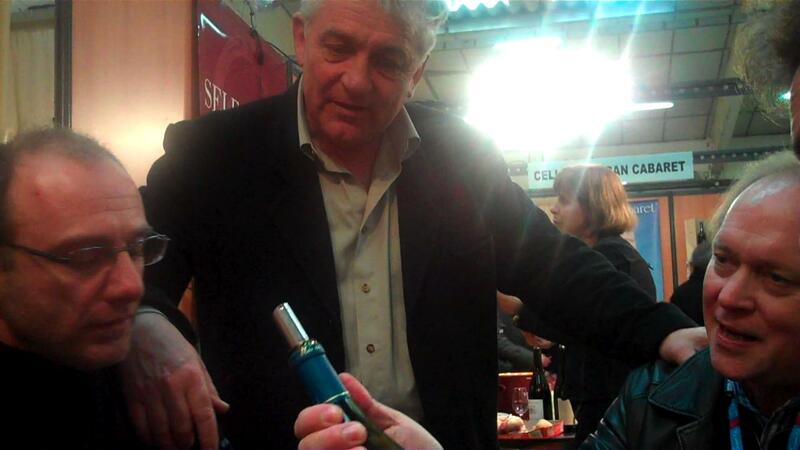 Update: it would seem this winemaker is retiring but Pierre Fabre of Chateau de Gaure is trying to keep the blog alive by publishing all the best stories people email to him about the Roussillon. Cool idea. Domaine Revelh, Roussillon – Winemaker blog in French – Recently installed biodynamic microvineyard in the Roussillon. Lots of promise in the blog side of things. They make such a small quantity of wine, I feel like it’s admirable that they spend so much time talking about it online. Domaine Treloar, Trouillas Roussillon – Winemaker blog in English – Really cool winemaking couple in Trouillas. Very down to earth people with heavenly wines. I wish the blog was an actual blog and not just a frequently updated news page, but I love that they are online and communicating. And I actually follow the facebook account way more. Carignans.com, St Jean de Minervois – varietal news in English – Okay, this isn’t really a blog (a chronologically displayed web log). But it’s so in the spirit of one that it’s worth mentioning. John Bojanowski of Clos du Gravillas got really fed up with how journalists were hating on his favorite varietal, Carignan. So he started a website and united lots of producers who like Carignan. Now, there’s a safe community where growers can come out of the Carignan closet and admit to the world and to themselves that it is a great grape when grown right. Contact him if you make a pure Carignan that’s up to snuff. Domaine de Borde Rouge, Lagrasse – Winery blog in French and sometimes English – I have no idea how this stayed off my radar for so long. It’s a nice blog that ocassionally lets you see the vines or winemaking. 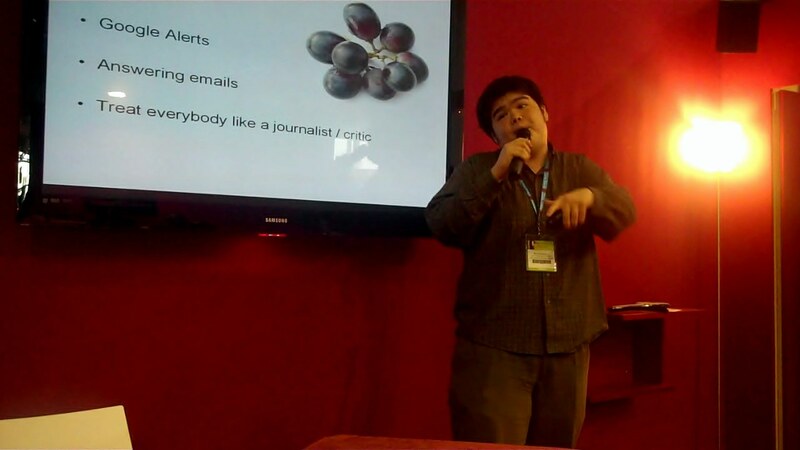 Most of it is devoted to talking about reviews received or trips abroad to Prowein, Hong Kong, and so on. Clos Pacalis, Boutenac – Vineyard blog in French – I tragically seem to have caught this one too late as it is on an indefinite hiatus. Hope they come back soon. Good lookin’ Blogger blog. Chateau Pech-Céleyran, Saint Exupery – Vineyard blog in French – A collection of updates on sales, art openings, weddings, etc. The aesthetics of the blog are a bit underworked, but that gives it a sort of authenticity. The pictures are honest, the comments brief. 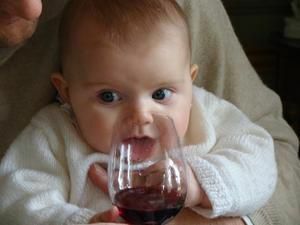 And every now and then you get a pearl like this photo of a baby drinking wine, and you know it isn’t staged. Sieur d’Arques, Limoux – Cooperative blog in French – One of the largest cooperatives in our entire region, also responsible for great events like Toques & Clochers. This blog reports lots of bits and bobs from the vineyards contributing to the coop as well as lots of events that they hold. Domaine Guilhem Barré, Cabardes – Vineyard blog in French – An organic estate in the Languedoc that delivers bits of photo and text about its various endeavors. Clos des Augustins, Pic Saint Loup – Winemaker blog in French – Occasional updates on press and the weather. Château La Liquière, Faugeres – Vineyard blog in French – Back from a temporary hiatus with a heavy focus on photo posts. The site leaves a lot to be desired in terms of design. The blog actually doesn’t link back to the winery’s primary flash-driven website. But all this aside, they have some exceptional photos from time to time. Vella Frontera, Maury – Corin and Jayne Fairchild blog about their recent(?) vineyard purchase in the Roussillon. Clot de l’Oum, Belesta – Vineyard blog in French – Lots of very dramatic photos. A lot of them vine-related. Les échalas de Langlade, Langlade – Borderline in the Gard which is technically Languedoc but makes a lot of wines with Rhone on the label. This blog’s occasional updates include vineyard updates, local events, and other assorted stuff. The most interesting this is that it’s a joint effort between three independent winemakers in the same commune (Langlade). Intriguing! Domaine Belles Courbes, St Chinian – Winery blog in French – Monthly updates on press and local events. Domaine Virgile Joly, St Saturnin – Winery blog in French – Some photos and videos. Infrequent updates, but from a very charismatic producer with a lot of information to share. Couvent Wine, Roujan – Winery blog in English – The Couvent Roujan, a successful B&B attached to a vineyard and olive plantation has recently started a full fledged winemaking blog attached to their wine production which has recently become a little more official. Until recently, they’d done some casual wine blogging at chateaumalaudos.com but I think they’re really buckled in for the long haul now. This blog might be moving up the list very quickly, so keep an eye on it. Clos Romain – olives and vines, wish they would fix the front page navigation. Feel free to email suggestions. Self-promotion encouraged. If I left you out, don’t feel bad. My memory is swiss cheese (full of holes). Just nudge me with a reminder via email. The list of inactive blogs continues “below the fold”.